We want anyone who is enthusiastic and loves singing to come and join us. If you can read sheet music then great. If you can't it does not matter as we will teach you enough to be able to follow a music score and sing like a professional. Take a look at our Musical Symbols page to gain more of an insight into how a score is interpreted. Use your mouse to hover over the red circles in the image below to learn what each symbol is. When we prepare for a show or concert, we spend some time going through the chorus pieces note by note concentrating on the various chorus parts: Soprano, Alto, Tenor and Bass. 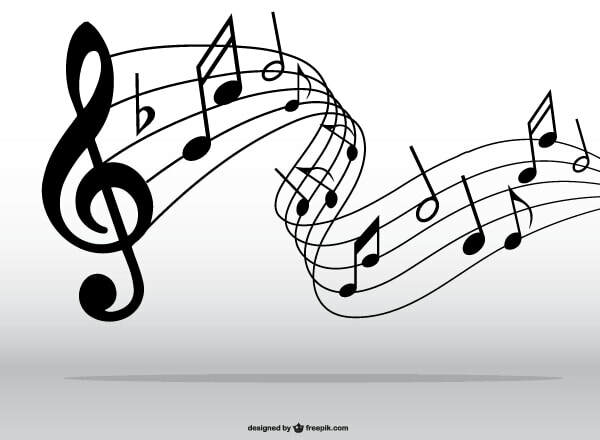 Teach tracks and music scores are produced to allow individuals to rehearse their individual parts. These scores and teach tracks are stored on the web site in a members area, these can be run directly on the web site or downloaded to your own device. The teach tracks are generally MP3 files which can be played on your phone or smart device.